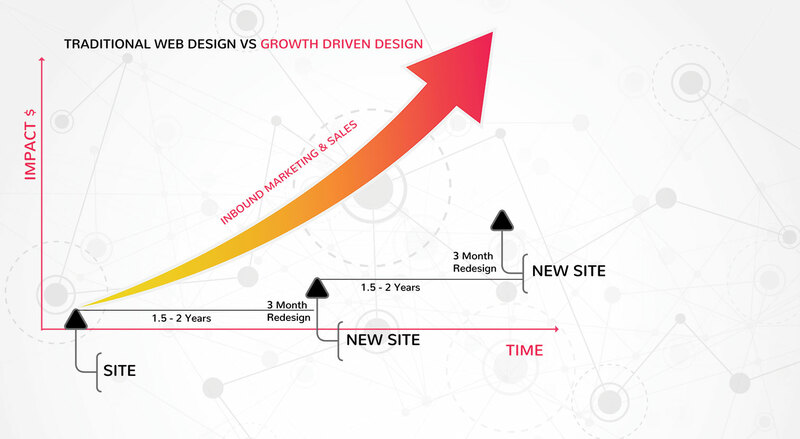 Growth Driven Design (GDD) is a smart way to design a website based on user experience (UX) and user interface (UI) data collected over time. The process involves updating and optimizing content and navigation based on analytics. Your website becomes subject to continuous improvements and is extremely adaptable, rather than living for a few years before it’s outdated. 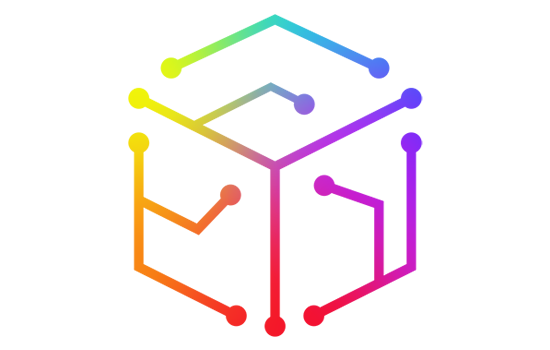 Traditional Web Design is Boken! Your website is at the core of all your marketing activities and should be built to convert visitors into customers. People are not coming to your website to learn about you, but to see if you have the solution to their problem. There is a huge risk in redesigning a website after 1.5 to 2 years. It’s time consuming, costly, and likely means it’s too late to keep your business on its growth path. GDD allows you to quickly launch a fully functioning website and immediately start collecting insights for continuous improvements. 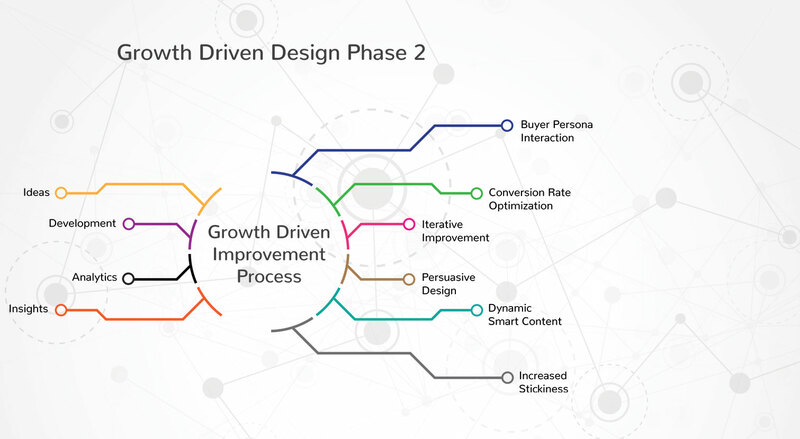 Growth Driven Websites are more user-centric via a data-driven approach that maximizes conversions at every stage of the funnel. SiO Digital builds websites on HubSpot COS & WordPress, leaders in the field. Speed up Development. Increase ROI. Get Faster Results. We design and improve your site based on the data gathered from past performance combined with a predictive marketing strategy. 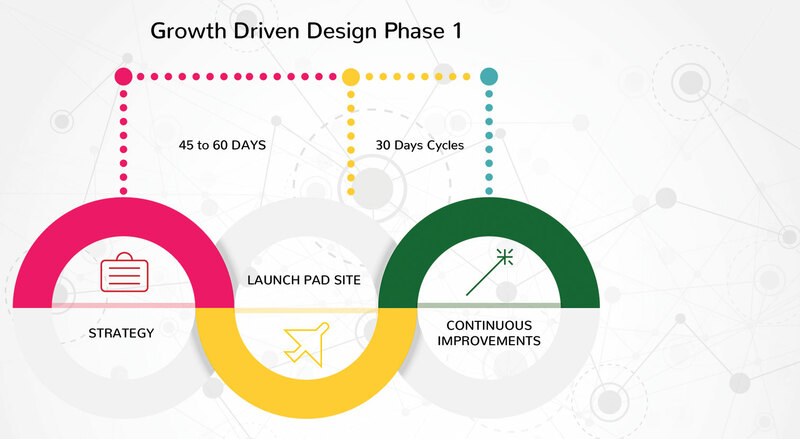 Phase 2 of the Growth Driven Design will focus on Smart Development, action learning and monthly improvement. Understanding what users want, care about, interact with and their navigation behavior will help us to find your hottest opportunities for growth. Growth-driven web content is crafted to provide a solution to your Buyer Personas. Simplify the optimization process by using the same tools across departments to streamline data sharing and improve from it. Track key metrics to understand what works so you can shorten the gaps and increase conversions. Build a website that engages visitors and makes them come back for more. Install trackers to customize design and content in a user-centric approach, hence decreasing bounce rate and increasing retention. Eliminate distractions and use psychological elements: user motivation, simplicity and triggers to encourage immediate action. Simplify conversion paths, and focus on high-impact action items that take your buyer personas where you need them to go.